Under Jeff Byrd's command, as Bruton Smith's boots-on-the-ground in Tennessee, Bristol Motor Speedway became one of NASCAR racing's most impressive venues, not only for its expansion to a whopping 160,000 seats up in the heart of the Blue Ridge, not only for its electric space ship design so impressive at night, not only for the hard-nosed racing on this legendary half-mile bullring, but for all of that plus Byrd's showmanship promotion. Smith loves lavish promotions at his fleet of stock car tracks, and Byrd delivered big-time. And Byrd also helped resurrect Bristol Dragway, just across the creek. Byrd, from his days as reporter at the Winston-Salem Journal (where his father Carlton was once sports editor), through his 23 years as sports marketing whiz at R. J. Reynolds in Winston-Salem, was nothing if not high-voltage, and a presence. So his fellow promoters have lavished him with praise, following his death Sunday at 60. A service will be held Wednesday morning Oct. 20th at 11 a.m. at Grace Fellowship Church, 2314 South Greenwood Drive, in Johnson City, Tennessee, with Dr. Greg Jordan and Dr. David Cagle officiating. A community appreciation service will be held at 11 o’clock Thursday morning, October 21, 2010 in the infield at Bristol Motor Speedway. The family requests that in lieu of flowers, donations may be sent to the Jeff Byrd Foundation, c/o Kingsport Community Foundation, 625 Market Street, Suite 1400, Knoxville, TN 37902. Donations also can be made through the website at www.easttennesseefoundation.org. Chris Powell, now head of Las Vegas Motor Speedway, and for years a marketing man with Byrd at R. J. Reynolds, calls Byrd "not only one of the finest promoters in motorsports, he was also one of the finest people in the motorsports industry. "Jeff's passion for race fans in general, and those of Bristol Motor Speedway in particular, was apparent in every decision he made. It's no coincidence that the Bristol race experience grew to become known for its family atmosphere. "Jeff's zest for life and for giving was felt among all around him, especially the charitable and civic organizations in the Bristol area that he and his wife, Claudia, have selflessly supported. "I'm proud to have spent a decade working in his presence at R.J. Reynolds Tobacco Co., and I will forever be appreciative of his guidance during my tenure at Las Vegas Motor Speedway. "Jeff's legacy of keeping fans first, his leadership, his generous nature, and his keen sense of humor will long be remembered." Talladega's Grant Lynch, who runs that track for the France family's International Speedway Corp., also worked with Byrd during the RJR years in NASCAR. "It's with a heavy heart that I have to say goodbye to my friend Jeff Byrd," Lynch said. "J-Byrd was someone that always commanded the respect and admiration of those around him. He was someone that was always motivated to succeed. "I remember our times together at R.J. Reynolds Sports Marketing Enterprises: We had a department softball team...and J Byrd wanted to win as bad as anyone I have ever known. "He was a great man, and I'll miss him dearly." Daytona's Joie Chitwood called Byrd "a great ambassador for the sport of NASCAR...from his days as a sports writer to a track promoter....Jeff will be truly missed." Byrd was certainly a well-known presence around the tour, since the early 1970s. Richmond boss Doug Fritz: "I've known Jeff nearly 20 years, dating back to his days with Sports Marketing Enterprise and mine with NASCAR. The sport of NASCAR will miss a truly great person and admirable leader in the industry." "I've known Jeff well going back to his days with R.J. Reynolds and Winston. He had such a passion for this business back then and was determined to help take our sport to another level. 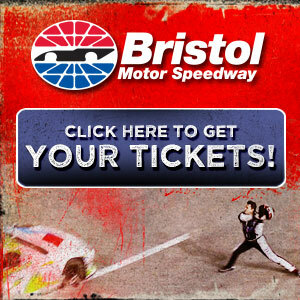 "That determination carried over to his leadership at Bristol Motor Speedway. "He was a guy that was just always a pleasure to be around. He had that kind of personality. "He will be missed but not forgotten." Steve Page, who runs San Francisco's Infineon Raceway for Smith, calls Byrd "among the key role models in our careers, and our lives at large. "Jeff Byrd's legacy will carry forward from his work, his contributions to his community, but most importantly in his wonderful family. And Texas Motor Speedway's Eddie Gossage, who got his own start in this sport at Bristol Motor Speedway: "Jeff Byrd was as important to making NASCAR popular as Darrell Waltrip, Dale Earnhardt, Bobby Allison, Tony Stewart and the rest. "They made fans on the track...but so many fans supported the sport because of Jeff's ideas, hard work, passion, leadership and creativity behind the scenes. "Jeff was one of the first people I met in the sport when I started 31 seasons ago, and he has always provided a wonderful example to me and so many others, mostly as a great family man and a true friend. "I will miss him very much, and so will the sport."